Treasure Beach, Jamaica, is an earthly paradise, but in this beautiful place you can also find extreme examples of land and seascape: warm inviting water, threatening jagged reef. Like the photograph, life is so often a portrait in extremes. In the hours of one day it is possible to experience the sweetest, uplifting highs, only to find yourself cut to bits by unexpected, devastating lows. We’ve all experienced these contradictory days. 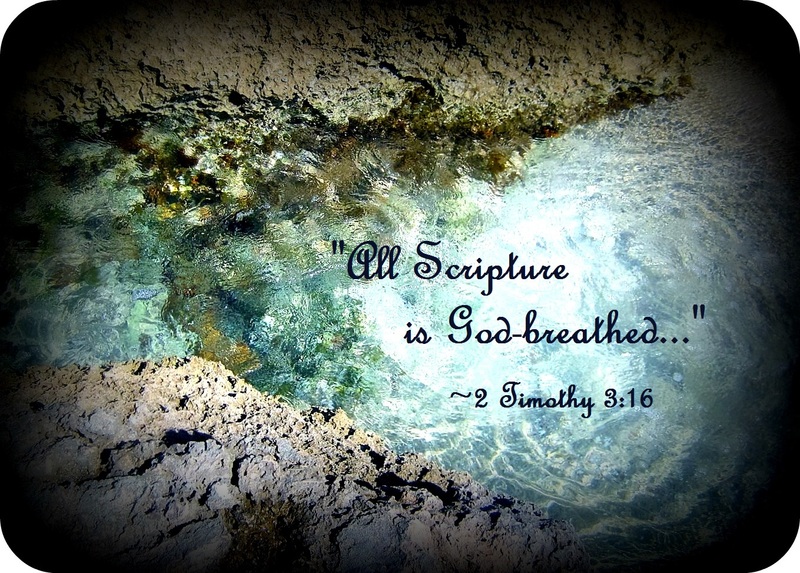 Yet, through it all one fact holds true, the Word of God stands eternal. Whatever I am going through in my life, whatever injurious circumstance I, or someone I love, might be experiencing; the Word of God is a lifeline if I reach out and open the book. Dear friends, in these trying times, when life deals out its many highs and low, hold fast to the timeless Word of God, and let Him be your hope and strength every day. Thanks for those blessed words of wisdom. Thank you in return for the lovely comment. When I explained to my teen-aged daugther that God’s word was timeliess and the ultimate instruction manuel for life, she gave me a lot of eye rolls. Fortunately, over time, she came to agree that all of her answers were in the Bible. Thank you…I also have seen those eye rolls and know that in the end the wisdom of the book rings true for those who’ve been brought up to follow its ways. Thanks so much for the comment. 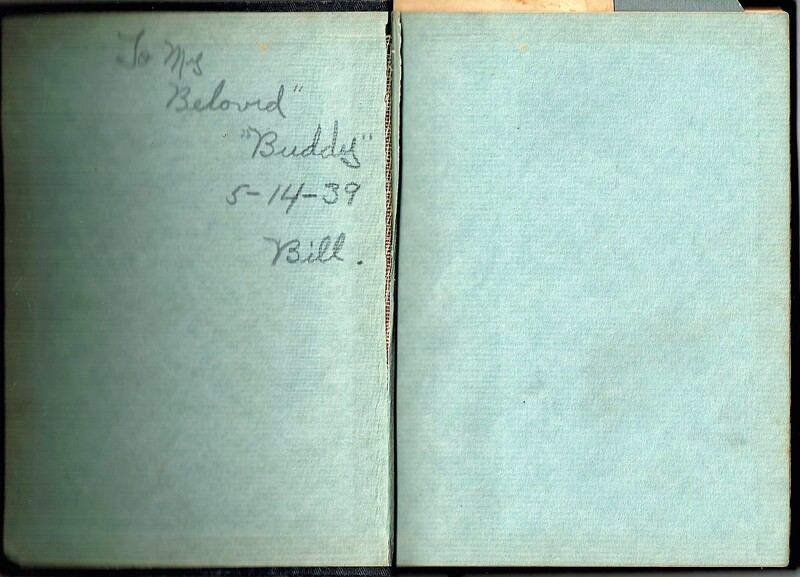 What touched me was that your grandfather called his wife “My Beloved Buddy” and his gift to her was a daily devotional book and not one of the modern gifts. 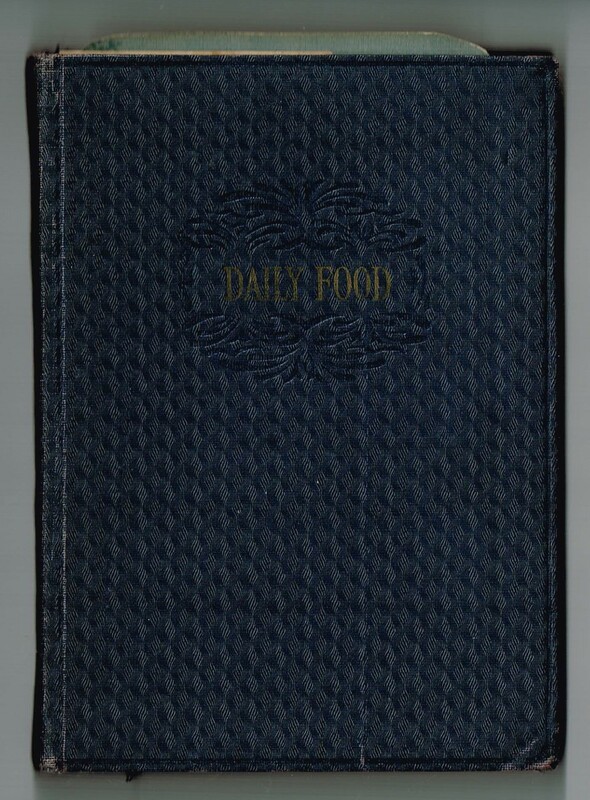 There was a time when a Bible or a book of daily devotions were thought of as the greatest treasures. I am so glad you have this with you and also the Word to hold on to in times of trouble. I love his endearment for her too Susie! She was a “buddy” to everyone, and I will miss her all of my life. What an amazing grandmother she was, and paternal grandmother was also a blessing to my life. I think, as I read the date, that it must have been a Mother’s Day gift to her from him. Do you have photographs of their memories ? I do…I will post them at some point, and might have already posted them somewhere in the past years. Even for me…the archives are large and at times I have a hard time finding old posts. Thanks so much Susie! 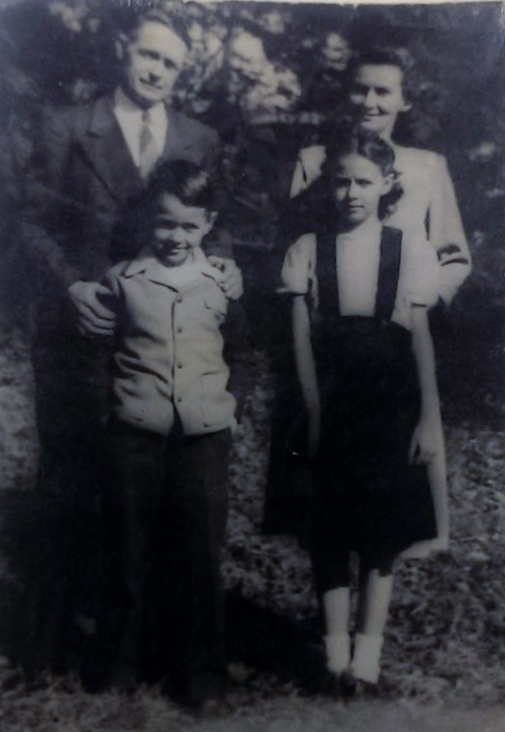 This is a photograph of my grandparents, with my mother and uncle. My mother looks to be about twelve years old in this photograph. Thanks for warming words and for sharing the Word. Blessings! Thank you in return for the comment and blessings.